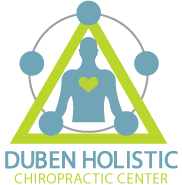 At Duben Holistic Chiropractic Center in Thousand Oaks, our skilled and experienced chiropractic team is committed to providing you with the highest standard of care in a friendly, welcoming environment. If you're an athlete, then you know all-too-well the kind of wear and tear sports can wreak on your body. Fortunately, our chiropractor for sports injuries can assist you in recovering from your injuries, restoring your health and wellness, and getting back in the game with holistic and non-invasive treatment. Our Thousand Oaks chiropractor has seen it all, so regardless of the specific sport you play or the injury you've sustained, there's a good chance our team will be able to help you. Generally, sports injuries fall into one of two categories: acute or chronic. An acute injury refers to one that occurs suddenly and often as a result of trauma in the form of a fall, blow or other one-time impacts. Chronic sports injuries, on the other hand, refer to those caused by repeated motions or impacts. These injuries tend to occur gradually over time than at once. The specific sport you play may make you predisposed to certain injuries. For example, both golfer's and tennis players commonly experience elbow injuries as a result of overuse of the elbow joint. Runners, on the other hand, may be more likely to suffer from plantar fasciitis, a painful condition that occurs when the tendons in the feet become inflamed. Regardless of your specific sports injury, there's a good chance that skilled chiropractic care from our Thousand Oaks team can help you find relief and get back in the game. We'll always begin with a thorough examination and consultation to determine your specific diagnosis and scope of the problem. From there, we will formulate a customized treatment plan that takes into consideration your needs and lifestyle. Ultimately, our goal isn't just to get you back in the game and relieve your symptoms, but to help you achieve better overall wellness and strength so that you are less likely to suffer from these injuries again. These treatments focus on improving the alignment of the spine and taking pressure off nerves to relieve pain and promote your body's own natural healing processes. Contact us if you're suffering from a sports injury and would like to schedule an appointment with our Westlake Village chiropractor, give Duben Holistic Chiropractic Center a call today at 805-468-4437 to speak with our friendly staff!